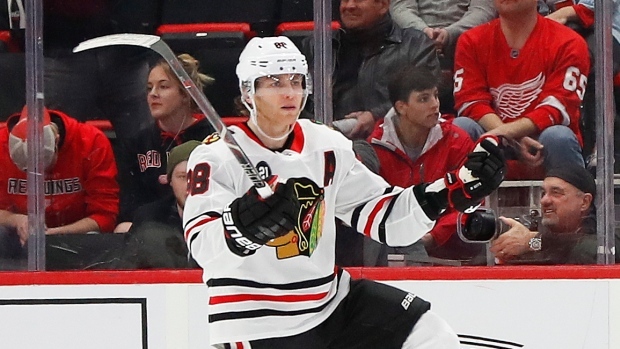 USA Hockey has named Patrick Kane captain for the U.S. Men's National Team at the upcoming IIHF world championship. The team expects to name its preliminary roster for the team later this week. Kane recorded a career-high in points this season with 110 (44 goals, 66 assists) in his 12th season with the Chicago Blackhawks. The Blackhawks star has represented Team USA on seven previous occasions, including serving as captain of the bronze medal-winning U.S. team at last year's world championship. He has also won medals at the U18s, the Winter Olympics and World Juniors. Kane was the first overall pick by Chicago in 2007 and has won three Stanley Cups with the franchise.